THE PLANNED STRIKE by Aer Lingus pilots on Tuesday and Wednesday of this week may help to stop the latest outbreak of E.coli from spreading to Ireland, the HSE has said. A spokesperson for the health services told the Irish Mail on Sunday that even a limited cancellation of flights to Ireland from Germany, where the bug has killed 18, could make the difference in stopping the heavily infections bacteria from reaching these shores. “It’s associated with with travel so it’s a fair point – the Aer Lingus strike could well prevent the spread,” the spokesperson told Philip Ryan. The planned two-day outage this week is set to affect 16 flights from German airports to Dublin alone, with more flights to Belfast, Shannon and Cork set to be cancelled when pilots show up to work an hour later in protest at new rosters. German media reports have suggested that the source of the outbreak could be either of two possibilities: a festival in Hamburg, held in the early part of May and attended by 1.5 million people, or a restaurant in Lübeck on the country’s northern coast. The owner of the Lübeck restaurant has insisted that all of his food is originally sourced in Hamburg – pointing to the latter as the potential original source of the new variant of the E.coli bug. Aer Lingus, meanwhile, has extended the period for which passengers can cancel their flight bookings – now allowing people to cancel or rearrange flights scheduled between Tuesday and Friday, free of charge. Email “Aer Lingus strike 'could save Ireland from E.coli outbreak' - HSE”. 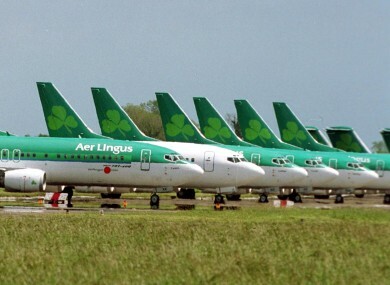 Feedback on “Aer Lingus strike 'could save Ireland from E.coli outbreak' - HSE”.